If you or a loved one has been injured on someone else’s property because of hazardous conditions, the law is on your side. 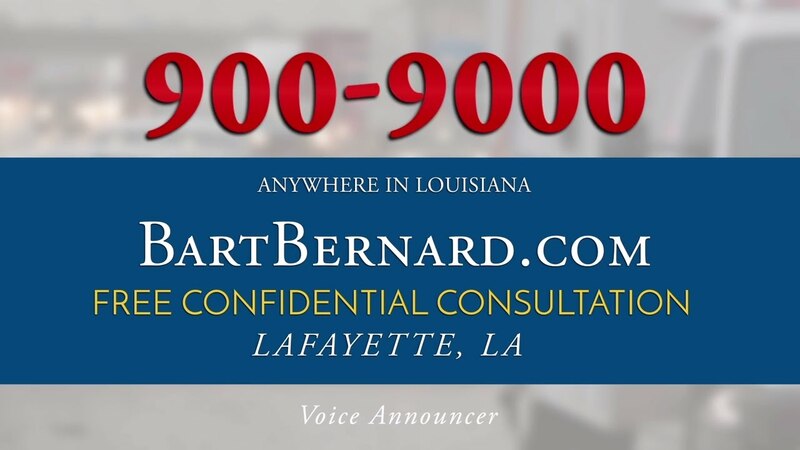 Louisiana slip and fall lawyers at The Bart Bernard Injury Lawyers are here to answer your questions and determine if you have a case for monetary damages. Call us today to set up a confidential case review in our Lafayette, Baton Rouge or Lake Charles locations. Twenty percent of all falls result in serious injury such as broken bones or head trauma, reports the Centers for Disease Control and Prevention. Louisiana laws stipulate that all business and property owners must ensure their grounds are reasonably safe for invited guests and patrons. When visitors are harmed because of a trip or fall on unsafe floors, they may have grounds for legal action. Accidental falls lead to millions of emergency room visits each year in the United States. Sudden changes in flooring surfaces, slick floors and aisles that are cluttered with debris are some of the leading causes of slip and fall accidents. Supermarkets, parking lots, apartment buildings, shopping malls, restaurants, theaters and amusement parks are some of the most common places where accidental falls occur. Even seemingly minor falls can culminate in severe bone fractures to the hip, wrist, arm, leg or ankle, dislocations and head trauma. The CDC reports that accidental falls are the number one cause of traumatic brain injury (TBI) in the U.S. The property owner or their personnel should have been aware of an unsafe condition – such as a cracked sidewalk or wet floor – and remedied the danger, but did not. The primary theory of negligence is whether a reasonable person would have recognized the potentially hazardous condition, and whether the defendant had time to address the danger before the accident took place. 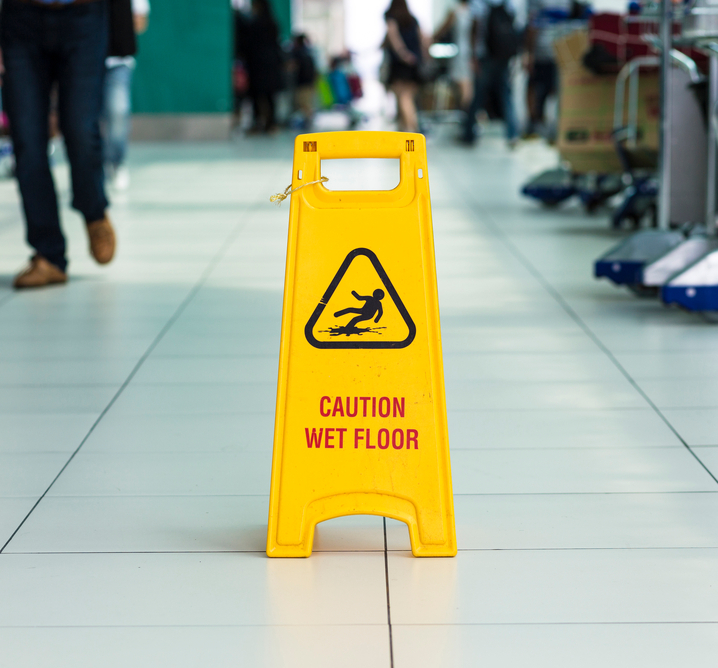 The property owner’s reckless or negligent actions actually caused a hazardous situation (by leaving clutter in an aisle, for example) and it was reasonably probable that the hazard could result in a slip and fall injury. Not every slip and fall injury warrants litigation. In some cases, the victim is partially to blame for the accident by engaging in risky behavior on the premises or failing to see warning signs posted by the property owner. Slip and fall accidents are one of the leading causes of unintentional death in the household, reports the National Safety Council. Every year, the medical costs for treating slips, trips and falls total more than $31 billion. $265,000 settlement– 87-year old plaintiff slips on an unmarked wet floor while shopping at a home improvement store, breaking her right hip in the fall. She required surgery and extensive hospitalization. $85,000 settlement – A small child slips on slick bathroom floor at his elementary school, hitting his head and racking up nearly $30,000 in medical bills. $1.9 million settlement – A New Jersey man slipped and fell in a Perkin’s restaurant parking lot, suffering serious injury to his shoulder and spinal cord. He later endured several surgeries to correct herniated discs and spinal damage. Under Louisiana law, you have one year to file a personal injury lawsuit after being harmed in a slip and fall accident. Victims who attempt to file a claim after the statute of limitations has expired may lose their right to legal compensation. For this reason, it’s imperative to contact slip and fall accident lawyers at the Bart Bernard Firm as soon as possible to get the complaint filed. The majority of slip and fall cases are settled out of court by the defendant, especially when there is ample evidence suggesting the property owner knew about a dangerous condition but took no measures to correct it. This process is often quicker and less costly than arguing a premises liability lawsuit before a jury. When you partner with Louisiana slip and fall attorney Bart Barnard, you can rest assured that we’ll work toward getting your case resolved as quickly as possible. Our legal team is well-versed in settlement negotiations and knows how to maximize payouts in trip and fall claims. Best of all, we collect no fees unless we settle or win your case, so there is no risk to you. Don’t become a victim twice — protect your rights by retaining expert legal representation. Call us today for a no-cost case evaluation. We’re here to take your call anytime, 24/7!